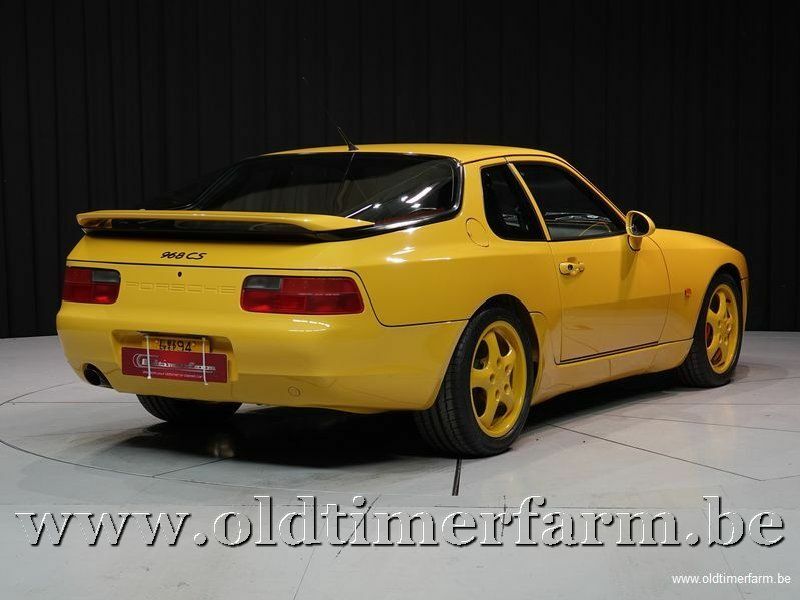 Porsche's 944 model debuted for the 1982 model year, was updated as "944S" in 1987 and as "944S2" in 1989. Shortly after the start of production of the S2 variant, Porsche engineers began working on another set of significant upgrades for the model, as executives were planning a final "S3" variant of the 944. During the development phase, 80% of the 944's mechanical components were either significantly modified or completely replaced by the engineers, leaving so little of the outgoing S2 behind that Porsche management chose to introduce the variant as a new model, calling it the 968. In addition to the numerous mechanical upgrades, the new model also received significantly evolved styling both inside and out, with a more modern, streamlined look and more standard luxury than on the 944. Production was moved from the Audi plant in Neckarsulm (where the 924 and 944 had been manufactured under contract to Porsche), to Porsche's own factory in Zuffenhausen. Like the 944, the 968 was sold as both a coupe and a convertible. The 968's basic styling was an evolution on that of the outgoing 944, itself based on the earlier 924. Much of the 968's chassis was carried over from the 944 S2, which in itself shared many components with the 944 Turbo (internally numbered 951). Borrowed components include the Brembo-sourced four-piston brake calipers on all four wheels, aluminium semi-trailing arms and aluminum front A-arms, used in a McPherson strut arrangement. The steel unibody structure was also very similar to that of the previous models. Porsche maintained that 80% of the car was new. The 968 also featured numerous small equipment and detail upgrades from the 944, including a Fuba roof-mounted antenna, updated single lens tail lamps, "Cup" style 16" alloy wheels, a wider selection of interior and exterior colors, and a slightly updated "B" pillar and rear quarter window to accommodate adhesive installation to replace the older rubber gasket installation. From 1993 through 1995, Porsche offered a lighter-weight "Club Sport" version of the 968 designed for enthusiasts seeking increased track performance. Club Sports were only available in Grand Prix White, black, Speed yellow, Guards red, Riviera blue or Maritime blue. Seat backs were colour-coded to the body. Club Sport decals were standard in either black, red or white but there was a 'delete' option. 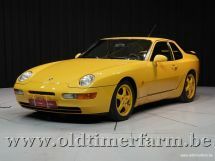 All Club Sports had black interiors with the 944 S2 door cards. Due to the reduction in the number of electrical items the wiring loom was reduced in complexity which saved weight and also the battery was replaced with a smaller one, again reducing weight. With the no frills approach meaning less weight, as well as the optimising of the suspension, Porsche could focus media attention on the Club Sport variants fast road and track abilities. This helped to slightly bolster the flagging sales figures in the mid-1990s. The Club Sport variant achieved a 'Performance Car Of The Year' award in 1993 from Performance Car magazine in the UK. Club Sport models were only officially available in the UK, Europe, Japan & Australia, although "grey market" cars found their way elsewhere.